One of the biggest questions we get from our customers is how to get the most value from their content marketing budget. So like any decent and respectable content marketers, we do our best to answer our customers’ top questions. 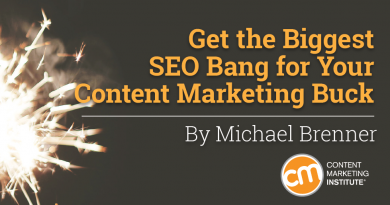 My biggest secrets for SEO and your content marketing budget? Content doesn’t have to be that expensive. You don’t have to create it all. You don’t have to use paid distribution to drive all your traffic. So how does a brand publish regularly and consistently to obtain the highest possible search-engine rankings at the lowest cost? We always recommend that brands look to balance original content, full-length licensed content, and some form of community content (employee-generated, influencer-generated, or user-generated content). When it comes to licensed content, we often first see fear in the eyes of our customers. Turns out, the massive and nearly ubiquitous myth in certain marketing circles and across the interwebs is that duplicate content hurts SEO. Some believe that duplicate content can actually cause a brand to be penalized. This myth has been around a long time. And in our customer strategy work, it comes up all the time. But is there any truth to it? And, maybe more importantly, how can a brand use “other people’s” content to rise to the top of search-engine rankings without breaking the bank? The straight answer is that licensed or syndicated content doesn’t hurt a brand’s SEO at all. And it often helps SEO. I am a big fan of “other people’s” content. At SAP, I built an award-winning content marketing hub called SAP Business Innovation and started it with little budget. How do you build a content hub on a small budget? You need an army of volunteer content contributors. I did this by syndicating content from other experts (mostly employees, to start) with their permission. When I started showing business results and my budgets increased, I added licensed content as well as additional paid original content. Many publishers offer great examples of high-volume sites built off a licensed-content approach. Even the top publisher sites in the world license images and stories from providers like Getty Images, Reuters, and Associated Press. One of the reasons these sites rank for the topics they cover is that they produce a steady stream of content around their topics. Each licensed article adds a small amount of search authority on the topic. Every brand publisher wants to rank for certain search terms and gain that coveted organic search traffic. But search authority takes time. This was the lesson my former SAP colleague, Gurdeep Dhillon, posted on LinkedIn. 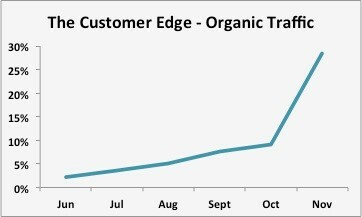 He found that it took about six months for search traffic on its Customer Edge site to reach close to 30%. The site includes the mix of content we recommend: original stories plus licensed content. We should start by acknowledging that if budgets were limitless, brands would create mostly original content to give the best and unique answers on the internet in every format used by their audiences. But budgets at most brands are limited. So how do we achieve the best results with our content budget? We usually start with a guideline called the “rule of thirds,” stating that one-third of your content should be original, one-third licensed, and one-third community-generated. We don’t know what the right mix is for every brand. We only know that there needs to be a balance between cost and content effectiveness. Starting with “the rule of thirds” allows you to test what works for your brand and its goals, then adjust the mix as you go. We often see that each type of content supports the other in gaining organic reach, social shares, and community engagement – all driving to better business outcomes. Volume: To achieve the highest level of organic search, brands needs to start with the highest volume possible. To become an authority on a topic, you have to spend a lot of time (frequency) publishing on that topic. To rank higher than another source, you need to publish more content than the other source, all other things being equal. Value: As Lee Odden and Andy Crestodina have said, you need to create the best answer and the best pages on the internet for the topics relevant to your brand. Many marketers mistakenly think this means that you need to only publish articles greater than 1,000 words or some other arbitrary number. Long-form content should be part of the mix. But brands should also link to other sites with authority. Repurposing content or linking to other authorities on a topic is often the best way to provide value to your audience. Variety: The search engines report results in the form of web pages, images, videos, news, and more. To rank for a topic, brands need to create a variety of content types at a high enough volume and with relative value to be considered an authority. What about paid social distribution? 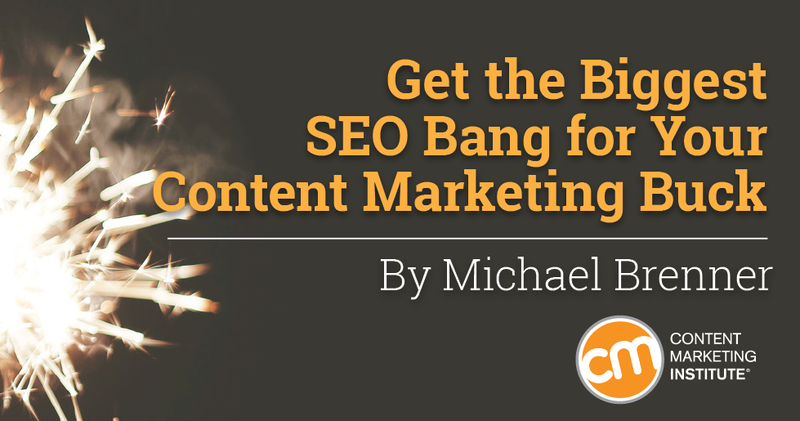 The key takeaway is that you have to have great content. Your content should live on a platform that has some existing or growing domain authority and follows standard best practices for SEO. If your content is great, you will gain the holy grail of content marketing and SEO: inbound links from websites of higher authority. Using paid social only allows you to reach new audiences, then you have to use the opportunity to gain a comment, an inbound link, a social share, and an organic search result. Brands that want to gain the biggest SEO bang for their content marketing budgets have to balance original, licensed, and community content. They have to balance volume, value, and variety. And they have to challenge the myths and learn from their own tests in trying to regularly reach their audience with great content. A mix of original, licensed, and community content drives the best results for your budget. Licensed content can help increase your authority on the topics important to you. Higher search traffic and SEO take time but are well worth the wait. Brands need to focus on volume, value, and variety to achieve higher organic search traffic. Paid social is not a shortcut, but can help if your content is great. Want to learn more helpful tips to boost your content marketing efforts? Make plans today to attend Content Marketing World 2015.